Last weekend i had a negative surprise. Some noise from the desk and a lot of fume indicated that some electronic stuff burned. 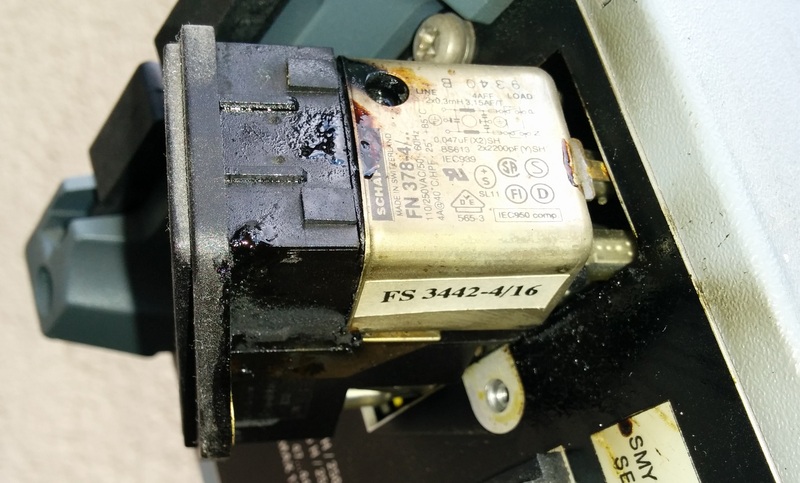 Investigating the source of the fume i found that the mains filter of my old R&S SMY-02 burned away. Fortunately i have connected it to a switchable mains distributor which prevented it from burning in my absense. This entry was posted in Electronics, Measurement by mario. Bookmark the permalink.